Amid the ongoing operation by the Iraqi army and popular forces to retake the northern Iraqi city of Mosul from the ISIS terrorist group, the Takfiri [extremist] elements have been urged to leave the city as soon as possible. According to a report by Al Alam, as translated by IFP, a local source in Nineveh Province told Al Sumaria News that ISIS commanders used bullhorns to ask their elements in Mosul to leave the city, especially the western parts, on Sunday night. The source, who spoke on the condition of anonymity, went on to say that the ISIS is using the term ‘hypocrisy’ as a pretext for escaping the city, which is going to be liberated by Iraqi army. 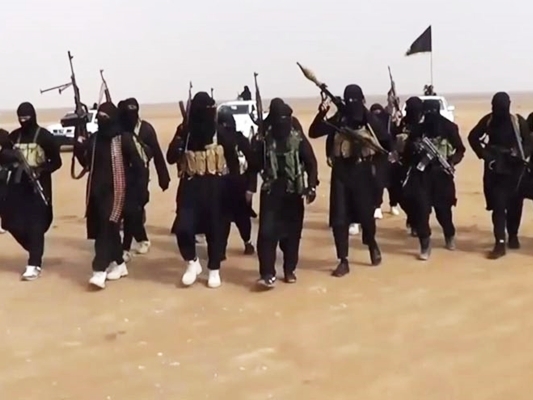 Many of ISIS terrorists, the source said, have already decided to flee from the city together with their families in fear of the operation to liberate the city. The Iraqi army launched an offensive Sunday aimed at wresting Mosul from the hands of ISIS and ending its brutal two-year occupation.